Conservation: Lobbyists parade-out States Rights as the issue . . . Skip April 22, 2015 Conservation, RECENT, Slide No Comments on Conservation: Lobbyists parade-out States Rights as the issue . . .
More than 100 hunting, fishing, and conservation organizations, including the Theodore Roosevelt Conservation Partnership , the National Wild Turkey Federation, Pheasants Forever, Quail Forever, Trout Unlimited, Dallas Safari Club, Pope & Young Club, the American Fly Fishing Trade Association, and more than 80 state-based groups, have released a letter to local and national decision-makers opposing the sale or transfer of federally-managed public lands. Recipients include House members meeting Wednesday (April 15) to discuss federal land acquisition, and its impacts on communities and the environment, and Senators who recently passed a budget resolution that could encourage the sale or transfer of public lands. NOTE: Transferring public lands to the states has attracted the financial support of foreign and domestic fossil fuel interests, foreign and domestic mining interests, foreign and domestic development companies and the logging industry. An unsavory band of government haters – outliers of the political right wing get their marching dollars from those big industry folks. Folks who never bought a politician who wasn’t for sale. Hopefully, it will become a “Fatal Attraction” when outdoor and conservation groups unify and get our congressional representatives to understand the importance of public lands, financial impact on communities near those lands and jobs in the outdoor industry – should they make a mistake. And not to mention the potential forfeiture of access to hunting, fishing, kayaking, canoeing, hiking, birding on your public lands. Selfie photo courtesy of Dan Harrison. While we were in with Senator Heinrich, I also helped to deliver a petition against the sale or transfer of public lands. 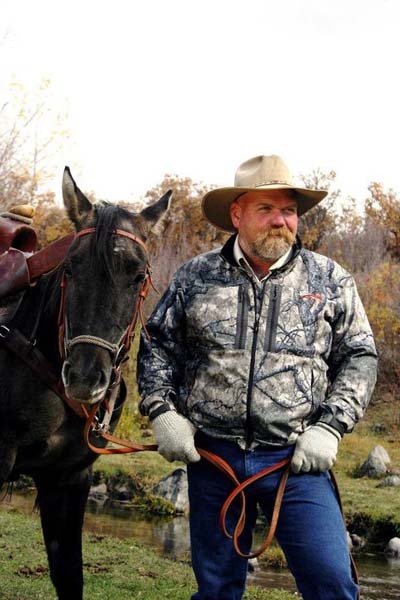 I have been guiding and outfitting for well over 20 years, almost entirely on public ground and in wilderness settings. During this time, I have hosted people from every corner of the U.S., and some from across the big water, whose opinions and political leanings are all over the spectrum. (As much as I try to stay away from discussing religion and politics around the campfire, you can’t spend a week on the mountain without learning a little about people’s views and ideas.) Many see something going wrong and, as much as they may care, assume that there is nothing they can do—they’ll most likely be overridden. This assumption has gotten sportsmen in so much deep water that we are about to lose our uniquely American outdoor heritage that we love so much. The hunting industry alone is over 28 million strong, bringing billions of dollars to the economy. If you combined the hunting and fishing community with the outdoor enthusiasts who hike,raft, and cycle on public lands, it seems to me that you’d have one of the largest organizations in the U.S. The organizations that want to sell off our heritage are masters at getting their word out to our elected officials, and they have an advantage over us, because their only focus is to lobby in D.C. The organizations I belong to, many in life membership, do great work in most respects, but their fundraising dollars are spread very thin, because they’re focused on conservation, education, and habitat. We have to lend our support with individual voices. Join the Theodore Roosevelt Conservation Partnership . . .